If you're worried you won't have ample time to prepare your latkes over the busy holiday season, why not make them now and vacuum seal them for later? That way, you can make them with care and seal your love inside, so you can share it with your friends and family later in the month. This recipe is easy to make when you have some spare time. When you're finished, just allow the latkes to cool completely and use your FoodSaver® Vacuum Sealing System to keep them tasting delicious for later. Peel the potatoes and discard the skins. Grate the potatoes onto a piece of cheesecloth. Bundle the grated potatoes in the cheesecloth and squeeze them over a bowl to remove any excess moisture. Allow the drippings to settle in the bowl for about a quarter of an hour. The starch should settle on the bottom. Pour out the liquid, but keep the starch. In that bowl, combine the starch with the eggs and stir until it forms a frothy mixture. Then add the shallots, salt and pepper, and flour. Lastly, stir in the grated and drained potatoes. Do not cook the latkes until they're ready to eat. You can seal this mixture and freeze it until you're ready. Allow it to thaw overnight. When you're ready to serve the latkes, heat the oil in a skillet over medium heat. Use a spoon to portion out the thawed potato mixture and place it in the hot oil. Fry each side for 3 minutes or until browned. When finished, place on a baking tray lined with paper towels. Share the love and the latkes. 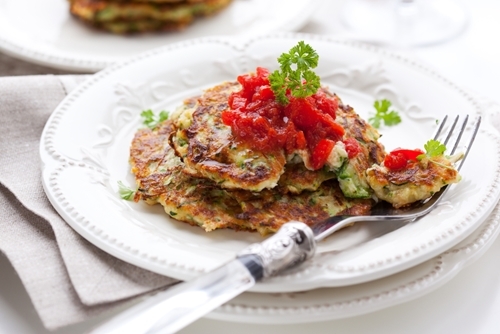 Latkes are just one of many seasonal dishes that taste great with cranberry sauce. 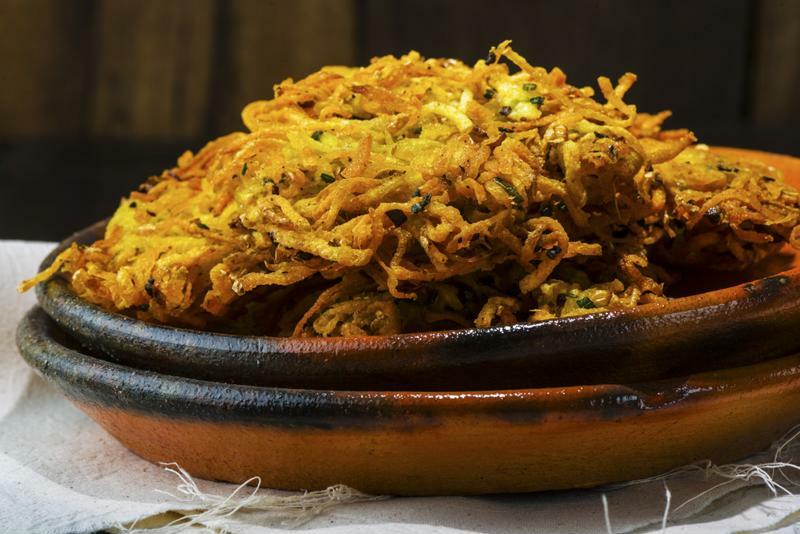 Try covering your fried latkes in this tart concoction. Bring all of the ingredients together in a saucepan and place on medium heat. Bring to a boil, then let simmer for 10 minutes. You'll know it's done when the cranberries split open. Remove from heat and chill before serving. This is another recipe that's easy to vacuum seal with the FoodSaver® Jar Sealer.